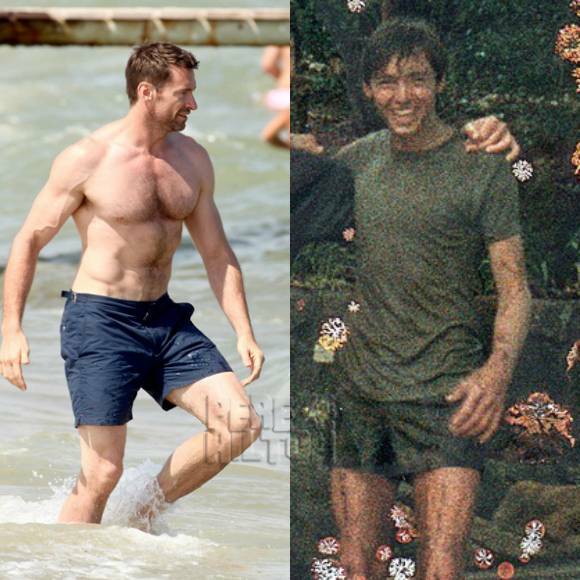 Hugh Jackman Hasn't Always Been A Huge Jacked Man — Check Out These Buff Stars' Before & After Shots! The 46-year-old actor is famous for his hot body and for playing superheroes, most notably Wolverine in the X-Men franchise, but back in 1985, he was actually stick-thin! #TBT #TBTWayBack. Now you know why they called me sticks!!! One thing's for sure, he's always had great legs and an equally great taste in short-shorts! But Hugh isn't the only star who got buff later in life. In fact, some of today's hottest stars like Joe Manganiello, Ian Somerhalder, and Zac Efron all had let's say awkward phases that they had to grow out of! So what're you waiting for! ?